You are here: Home / Geek Stuff / Would you donate to charity via a videogame? 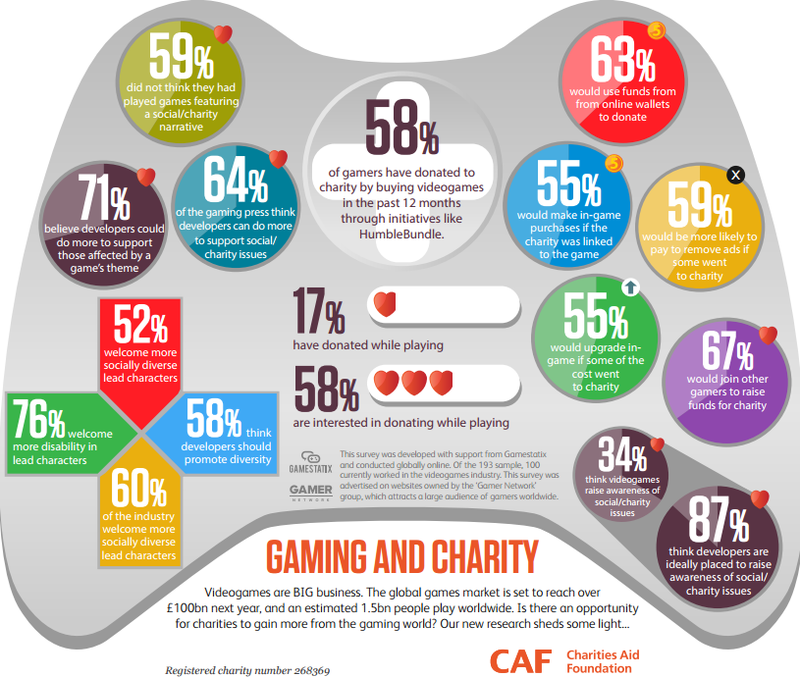 Research by the Charities Aid Foundation suggests 58% of computer gamers would be interested in donating to charity while they’re playing. This includes in-game purchases. As many gamers, 59%, said they’d be more likely to pay to remove ads if some of that cost went to charities. Some charities and developers have already worked to create unique gaming opportunities to raise awareness and funds. For example, in 2013 the Red Cross partnered with EA to create a special download for Sim City. Meanwhile charitable gamers can find a wide range of games available on Humble Bundle, an online game store that donates part of the price to charities. “Our research, conducted with support from Gamestatix and the GamerNetwork, found that gamers and developers are very open to the idea of supporting good causes through gaming. Are you more likely to pay to remove ads if some of the money went to charity? Sites Alexa, should I take Audible’s free trial?